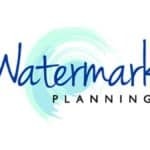 Watermark Planning is a leading development consultancy which has been in operation for 18 years. Sarah McNeilly, the company director, has 25 years experience as a town planner, with extensive experience in statutory planning and assessment, and project management. Our consultants have worked in State government, local government and private consultancy throughout Sydney and much of NSW. We have vast experience with residential projects throughout Sydney and specialize in works on the northern beaches and north shore. We can help you determine what is permissible on your site, work with your architect or designer to ensure your plans address all of the issues required in a Council assessment. Watermark Planning will write the Statement of Environmental Effects, which is the planning report to be lodged with your application. In this we provide an assessment of your development proposal and provide justification for any variations to the Council controls. We will let you know before you lodge your application if there are issues, so that these can be resolved before submission and that the assessment process is stress free! Trust us to help you through every stage of the development planning process with our professional, strategic input, so your vision has the best chance of success. If you are on the northern beaches or wider Sydney and have an idea you want to make reality, we would love to assist so please contact us now. Finding a great trade or service is priceless! Online reviews help guide our community to choose the best tradie for their project and in turn they show tradies what they are doing right, or could perhaps improve on. Reviews make the Renovating Mums directory better for everyone, so we hope you take the time to leave one! Positive reviews will always be published. If however, you feel you need to leave a negative review, you must include in the comments when the works were done (the works must have been performed within the last 12 months) and what steps you took to resolve the issues. Any reviews that fail to comply with our terms and conditions will not be published.